Towering pines & fresh mountain air surround this charming home. Vaulted wood paneled ceiling & large picture windows give off the feeling of spaciousness throughout. Keep warm in the winter next to the wood burning fireplace in the living room. Lovely kitchen features tons of cabinets space, dining bar & beautiful back splash. Upstairs master suite has a walk in closet & dual sinks. Take advantage of the spacious loft area. 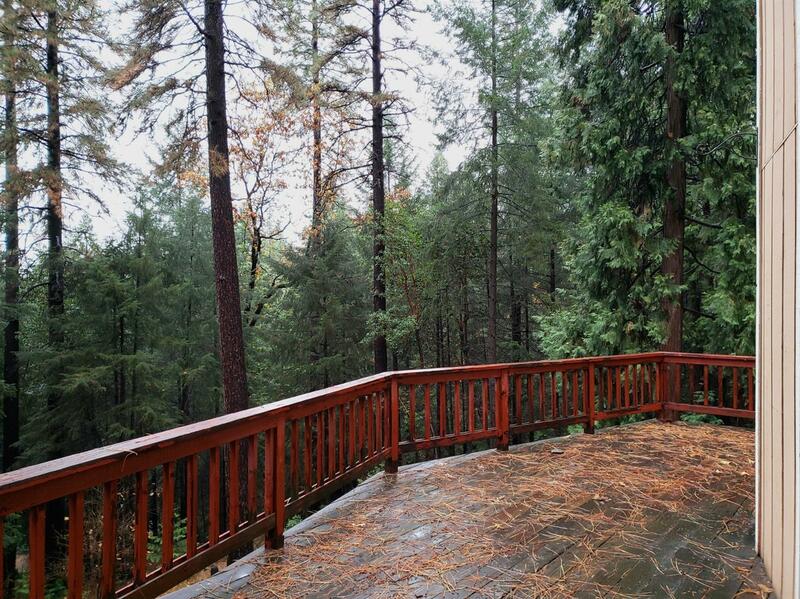 Relax out on the large deck & take in the tranquil wooded surrounds.